One of the photographers identified ! 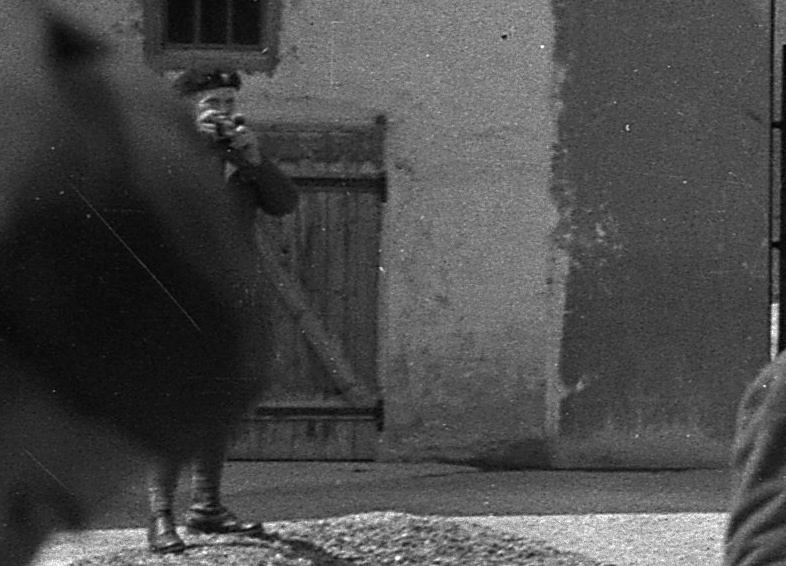 According to what we understand, there were several photographers at Murnau camp. All of them unknown. But at the time being, one of them can be identified. On july 2013, we received a letter from Jaroslaw Baczyk of the Museum of the Wielkopolska Uprising (Odwach) - Poznan, Poland. He worked on the exhibition about Murnau camp who lasted from may to august 2013. He told us that after visiting the exhibition of Murnau's photos a man, Andrzej Budzynski, gave him the following information. 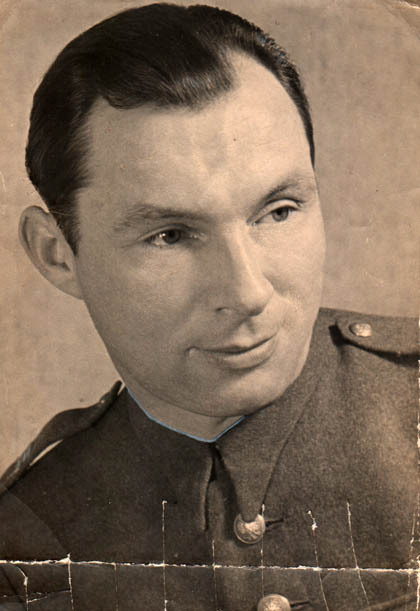 Before the Second World War his father  plutonier (a rank of noncommissioned officer) Sylwester Budzynski was a soldier of the 7th Military Police Squadron in Poznan. In the service he attended different military courses, among other things the course of photographers. On September 27th, 1939 he was taken prisoner by the Soviet troops which invaded Poland. It happened in Kamien Koszyrski (to the north of Kowel). 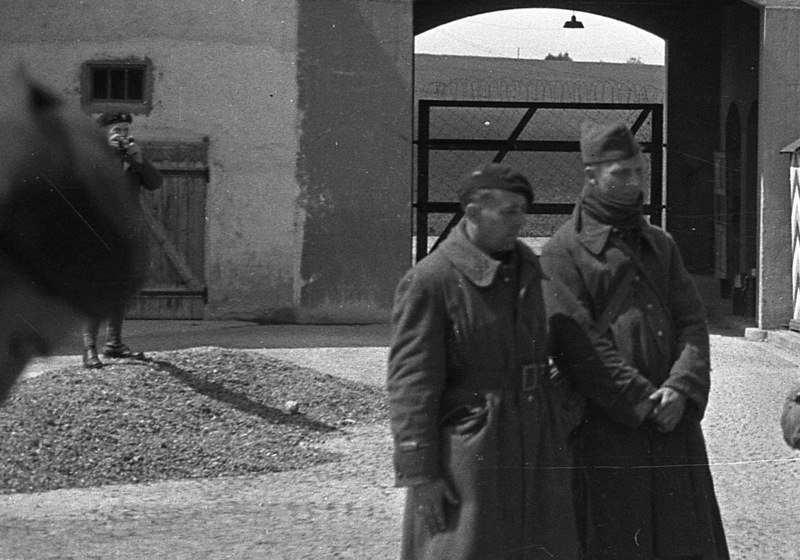 In October 1939 Sylwester Budzynski and the others POWs, who lived to the west of Poland, were delivered to the Germans. 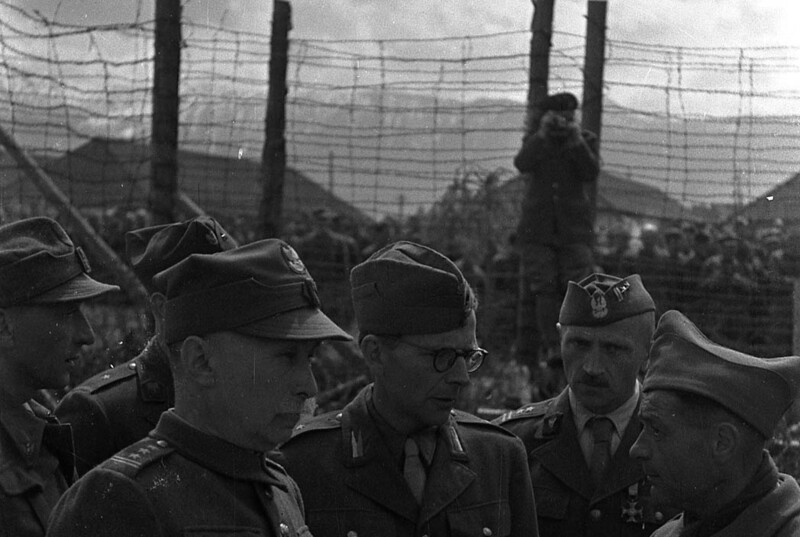 Budzynski was transported to Stalag VII A Moosburg and  in May 1940  to Oflag VII A Murnau. 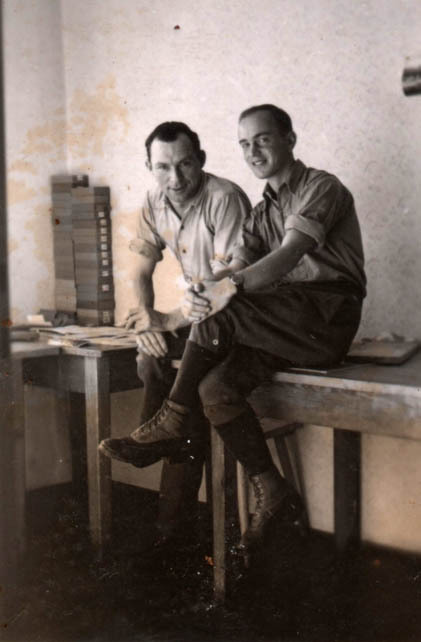 He was working as the oflag's photographer and was taking pictures of actors-officers during performances and groups of POWs  official, legal (photos marking geprüft) and stealthily (mainly  his friends). 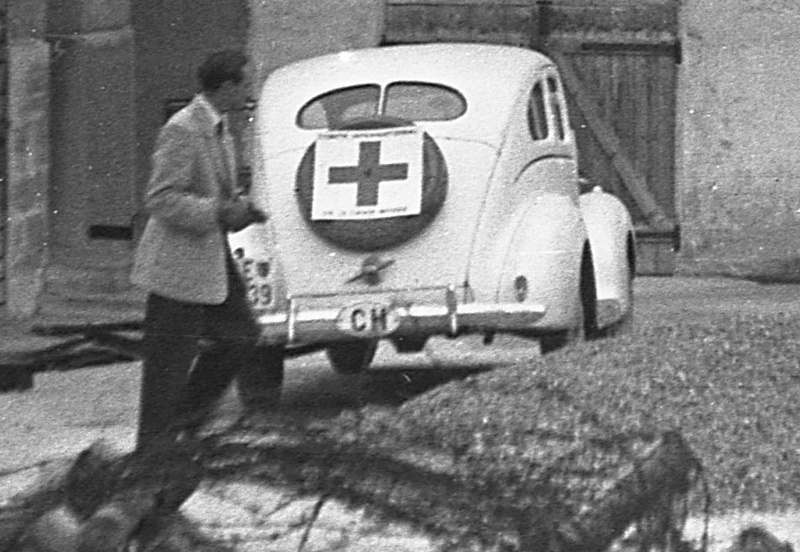 The camera was in the oflag's headquarters and the films were developed in the city of Murnau. His father had two cameras (!) : the legal - in the oflag's headquarters and the private  a Leica camera.Therefore many times Budzynski was leaving the oflag (under guard). He took pictures during the liberation day, too. Andrzej Budzynski remember that as a little boy he saw these photos at home (the same as in the exhibition). 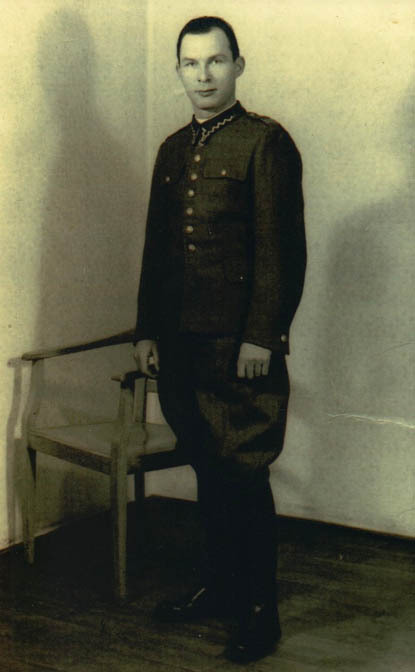 In June 1945, after the liberation, Sylwester Budzynski was taken to Italy to the 2nd Polish Corps and promoted to sergeant. In December 1946 he returned to Poland. 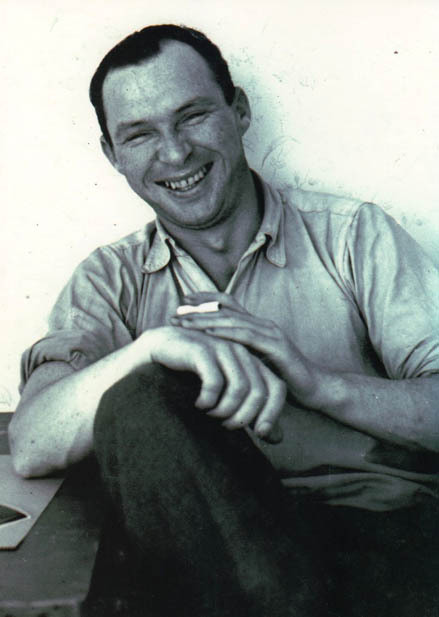 Budzynski lived in Poznan and died in 1979. 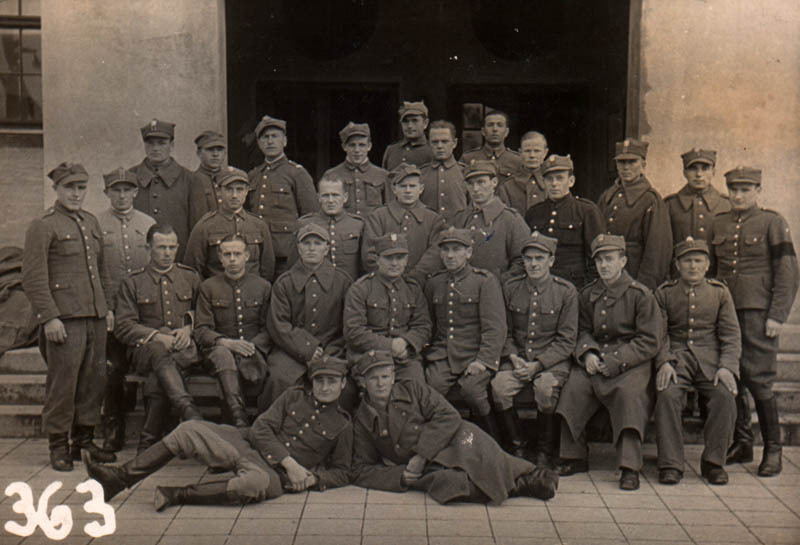 This photo shows the group of Polish privates and noncommissioned officers in Murnau. 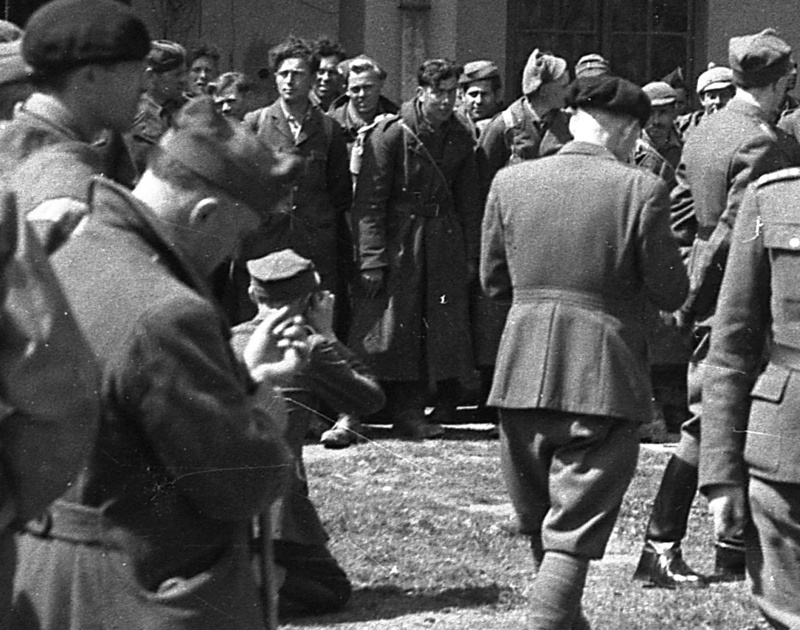 In the middle  Sylwester Budzynski (on the left of the officer with the dark coat). What happened to the photos Andrzej Budzynski saw when his was a child ? According to his account he took them to a school when he was a pupil of a primary school about 50 years ago. They have probably been lost there. Looking closely at the photos of Murnau, we can see some photographers in the camp. All of them are not identified. The four following photos have been cropped. Number 137. The soldier in the background. He seems to be the same as on the number 136.